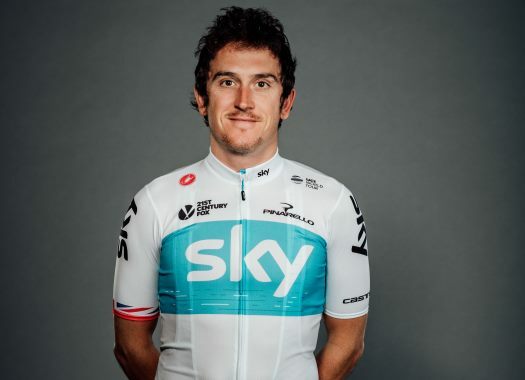 The winner of the 2018 Tour de France Geraint Thomas (Team Sky) looks with enthusiasm at the route of the 2019 edition of the race. The next edition of the French grand tour will be the "highest in history" with 30 categorised climbs, three of which are over 2000 metres high. "It's always hard - it's the Tour de France!" said Thomas. "There's a lot of climbs over 2,000 metres of altitude and I seem to perform well at that height, so I like it. "It will suit the usual Tour rider - a well-rounded rider with a balanced team. You've got to be able to climb, you need a strong team around you - there's a lot of medium mountain stages - and then there's the time trial in Pau, which will be crucial." The first climbing finish of the Grande Boucle will be at La Planche des Belle Filles, which will include an extra kilometre on a dirt road and an inclination of over 20%. "We've done that climb quite a few times before but not the extra bit we'll do next year. It will spice things up a bit!" Thomas commented. "There's a lot of other stages that stand out as well. It should be another great race."